So it looks like TD is having all kinds of problems with this merging of accounts with ToS. I had new username problems yesterday. That’s an annoyance, but a one time pain. I am still getting used to my username as well. I believe e-mails were sent to the address on file on Thursday but unfortunately there were cases where we received some bounces and/or were caught in SPAM folders. In cases where we were unable to deliver an e-mail a letter was mailed. Please note that you can change your username if you do not particularly like the characters that were added. That’s what I did. Then I find they haven’t unified futures and equities into one account, so you have to manually segregate funds between two accounts. That is unacceptable. But their FAQ says they are working on the integration of the two and expect it to get worked out. When? Who knows. I completely agree. The plan is to deliver this functionality using our new clearing firm inside of a month. We need to thoroughly test the functionality given we are using a new clearing firm but we are getting close. Now as of this morning my account shows zero cash, but a single position in an FDIC insured account. I assume that this is the overnight sweep into an interest-bearing (LOL) deposit account. ToS did this as well, but still credited you with cash and buying power. So basically now you can’t trade pre-market. I have no idea if this is permanent or just a temporary glitch. If permanent then you’ll have to tell them you don’t want cash sweeping overnight. This was a temporary glitch. We feel we have addressed it today and will be monitoring very closely overnight and tomorrow. So these are pretty heinous issues. Before I get out the torches and pitchforks, I’m going to give them a bit of time to see if they can sort it out. After all, this is only trading day #2 post-integration. However, they need to resolve this very soon or a lot of traders are going to bail on them as they miss opportunities in the markets. You are 100% right. I assure you we are working tirelessly to iron out the issues you have mentioned. I personally only left the office for 3 hours yesterday and 4 hours the day before. Not looking for points here – just want you to know that we are on it. So a little patience is in order here. It seems that the same people who gave us great support under the old management are still working the issues now. Here’s hoping the wrinkles get worked out soon. Until then, as The Fly says, go eat a sandwich. So it looks like TD is having all kinds of problems with this merging of accounts with ToS. I had new username problems yesterday. That’s an annoyance, but a one time pain. Then I find they haven’t unified futures and equities into one account, so you have to manually segregate funds between two accounts. That is unacceptable. But their FAQ says they are working on the integration of the two and expect it to get worked out. When? Who knows. I love Apple products. I have an iPhone and a Macbook Pro. I think that the iPhone 4 problems are overblown. However, they may have just tried to pull a fast one on us with some funky math. They said that when you compare the number of dropped calls per 100 calls made between the 3GS and the 4, the difference is less than 1. Huh? Sounds like the difference is 1/100 or 1%, right? A trivial number? iPhone 4 rate 1.9 / 3GS rate of 1 = 1.9. That means that the iPhone 4 drops 90% more calls than the 3GS in this example. Not a headline you’d want to report. iPhone 4 rate 5.9 / 3GS rate of 5 = 1.18. That means that the iPhone 4 drops 18% more calls than the 3GS in this example. iPhone 4 rate 8.1 / 3GS rate of 8 = 1.0125. 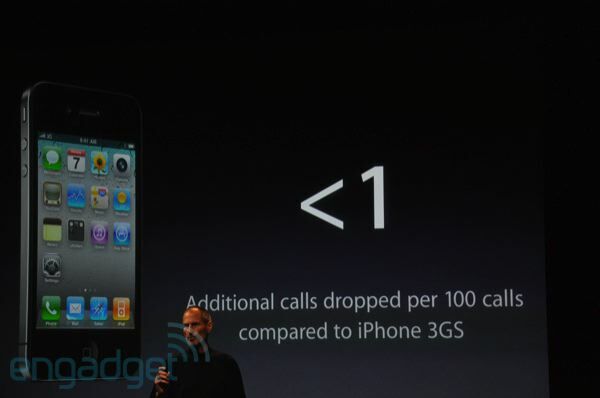 That means that the iPhone 4 drops 1.25% more calls than the 3GS in this example. iPhone 4 rate 0.9 / 3GS rate of 0.1 = 9. That means that the iPhone 4 drops NINE TIMES as many more calls than the 3GS in this example. I just found another blog that is dedicated to Thinkscripts. Thinkscripter publishes custom Thinkscript indicators as well. His code looks good, and I’m already learning a thing or two from his scripts. Make sure to check it out!